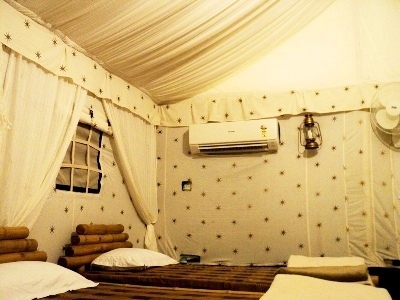 We have 6 luxury A.C. Swiss tents, with attached bath. We take pride in the fact that you will not have to give up many luxuries during your stay with us. You won't have to give up hot showers or running water ! 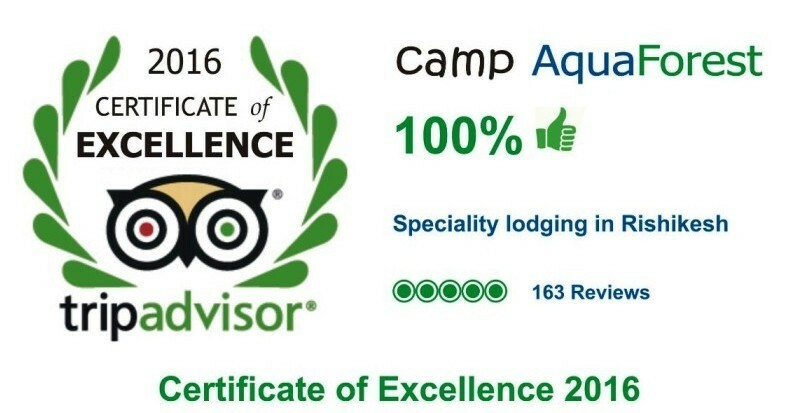 At AquaForest Camp, we understand what it takes to put together a great rafting trip and we make sure that your stay with us will be a cherished memory and you will look forward to make this trip every year! No other camp at any price can boast that they have the amazingly luxurious accommodation so close to Whitewater Rafting sites. It is no coincidence that we are being flooded with compliments from our guests, week after week. We do our best to make our guests comfortable. We hope that when you leave, you will feel like you have spent the time in the lap of nature, pampered by our courteous staff. Rishikesh is a great pilgrimage center, famous the world over for its yoga centers and spiritual missions. If you wish, you can visit temples, ashrams, Yoga centers and the famous Laxman Jhoola and Ram Jhoola suspension bridges in Rishikesh. The evening Aarti at the Parmarth Niketan is a sight that does not deserve a miss! AquaForest Camp has been founded on the basic premise that Rishikesh is just too amazing to be kept as an exclusive playground for the young and mostly single men and women. There are scores of people who would have loved to come to Rishikesh with their families... the constraint was - there was not even a single good place for camping with the family. We set out to create Rishikesh’s Family Alternative, featuring luxury tents located on the stream Hyule - just a little ahead of Rishikesh city. 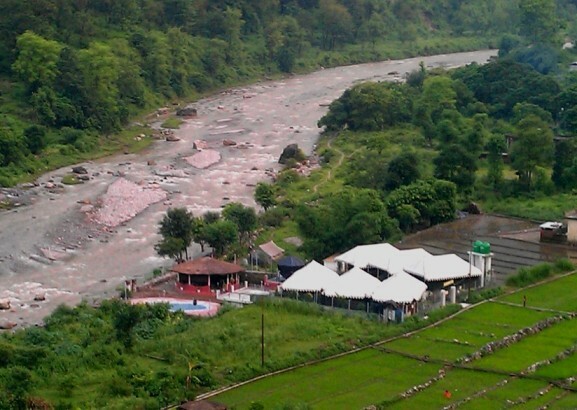 This unique location offers quick access to both the Ganges for rafting and to the wadeable wilderness trekking trails. "the best camping experience in Rishikesh..."
If you are ready for an overnight stay under the star-packed sky, then take a gander at our campgrounds. Our camping site provides opportunities to go for rafting, take a hike, howl at the moon and do some rock climbing.